With baseball training just around the corner, if you are a parent of an athlete there are likely many things on your mind including carpool, practice, gear, coaching, and more. However, one part of baseball that’s often overlooked is the gear— and we’re not talking about your cleats and helmet, we are talking about your mouth gear or mouth guards. No, we are not talking about mouthguards that some patients have to wear to bed to prevent tooth grinding and sleep apnea. 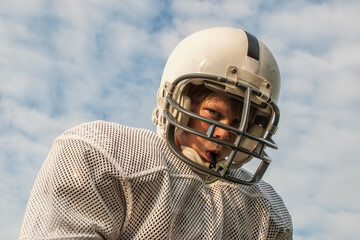 We are talking about protective mouth guards that are designed to shield your teeth, mouth, and tongue from sports-related trauma— like baseball, cycling, skating, boxing, and lacrosse. Here at Blue Water Dental of St. John’s, Dr. David Sorenson specializes in custom-made mouth guards. Custom made means that it will fit yours or child’s mouth perfectly to help protect them from any injury or trauma. Unlike over-the-counter mouth guards that can fall out and don’t offer full protection, custom-made mouthguards hug the teeth to even shield your mouth from tongue related injuries as well. Even though most custom mouthguards cover only the upper part of the teeth, many patients who wear braces or lower mouth appliances also have a lower mouth guard. During your initial appointment with Dr. David Sorenson, he will take an impression of your teeth using a malleable material. The mouth guard is then made from this impression. If you or your child play a sport like a baseball, make sure to get a custom mouth guard made by Dr. David Sorensen at Blue Water Dental of St. John’s. To learn more or to schedule an appointment, contact our Ponte Vedra office at (904) 395-7771.